Shallow & deep water applications. 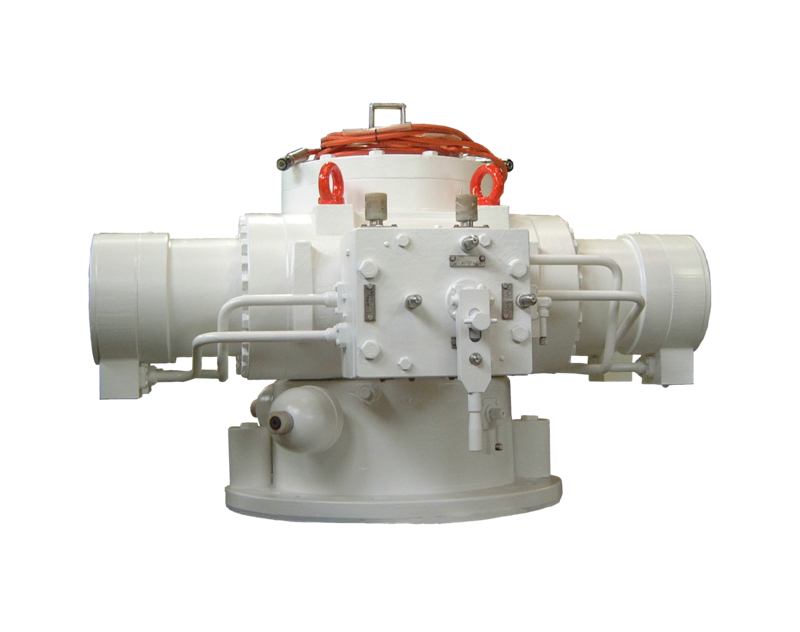 The standard range of subsea actuators are designed and manufactured to be suitable to a depth of 200m. For applications below 200m, up to a maximum operating depth of 3,000m the deep water subsea actuator will be required. 90 degree rack and pinion valve actuator for Ball or Butterfly types that require fail set action. Rack and pinion design provides a linear, balanced torque output, throughout its stroke. Suitable for use with all known hydraulic fluids. Compact yet powerful actuator with up to 207 bar working pressure. Optional remote end position signals or full range transducer. Choice of hydraulic connection ISO 4401 Size 3 interface or screwed ports. Adjustable end of travel stop screws. Main body and end covers manufactured in Nodular Graphite Cast Iron (SNG) with stainless steel GR316 fastenings. Rack and pinion manufactured in high tensile alloy steel for arduous duty. Flushing ports or alternatively bleed ports available. Choice of direct mounted hydraulic function blocks. Suitable for close or pedestal mounting, full adaptation provided.